It's an old expression but certainly a fitting one to describe Thursday night at the Honda Center in Anaheim where Calgary had only themselves to blame for a crushing 3-2 setback. Hoping that game one of the 2017 Stanley Cup playoffs would spark the start of a new era of success at the Ducks' Haunted Mansion, located just a few blocks away from Disneyland's namesake building, instead it was more of the same and just another oh-so-familiar frightening ride. The Flames have lost a mind-boggling and NHL-record 28 consecutive games in that rink, going back to April 25, 2006. This wasn't just a blown opportunity. This was an opportunity that they obliterated to shreds with a series of bad decisions and bad execution. In a list that easily could have been twice as long, here are the top five game situations that unfolded in which the main culprit involved quite likely ended up having a sleepless night. Indicative of how things went on an off-night for Johnny Gaudreau, the highly-competitive superstar was left surely swearing under his breath and shaking his head on a few occasions. 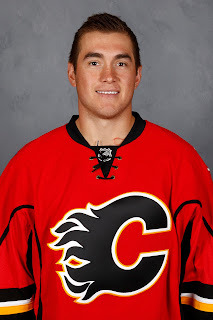 First was just over a minute into the second period with the score tied 1-1 when he broke in on a dangerous 2-on-1 with Micheal Ferland, only to squander the opportunity. If passing up a tremendous chance to shoot from 20 feet out was was one regret, not saucering his pass across to Ferland would have been another. Given Gaudreau's elite skill set that is on display every night, the saucer pass in that situation is something he could do in his sleep, yet on this moment -- feeling like a 1-in-100 situation, he instead tries to slide the puck over to Ferland along the ice and with a quick stick, Ducks defenceman Brandon Montour neatly intercepts it and clears the puck to safety. But there would be another chance to be the hero. With 20 seconds remaining in the game in a frenzied scramble around the Ducks net, Gaudreau scoops up a Matthew Tkachuk rebound as he's chugging through the crease but instead of waiting that extra half-second to get beyond the outstretched pad of John Gibson, he backhands it into his pad, enabling the Ducks goaltender to cover it up and snuff out the Flames last chance. I mean it was a crazy, hysteric scene in front of the net and 95 percent of players are going to do exactly what Gaudreau did and unload the puck quickly like it's a hand grenade. But the reason Gaudreau is so special and is paid $6.75 million annually is because he is an elite scorer and it was out of character to see him not convert that chance in that big moment, as he's done so often over the years. It was the final chapter in a night where for the most part, Gaudreau looked nervous on this big stage, the puck was bouncing off his stick far more than normal. Chalk it up to game one jitters perhaps, or maybe it's part the suffocatingly close checking from defensive thorn Ryan Kesler that can wear a guy down, but I'd expect Gaudreau to be better next game and the Flames need him to be. One thing in common between the Scotiabank Saddledome and the Honda Center is the location of the players bench in respect to the end of the ice where the Flames defend to open the game. 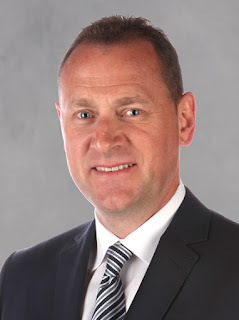 The way it is configured in both arenas, the most challenging line change during a game for the Flames is always going to be the right defenceman in the second period. In both buildings, the worst-case scenario if that right-side d-man is stuck along the boards in his own corner, he has a 115-foot journey to get off the ice. Now in normal circumstances, professional hockey players should be able to skate 115 feet in a snap of their fingers, but when you've been out on the ice for a long, gruelling shift and are sucking wind, that distance can suddenly feel more like 1.15 miles. 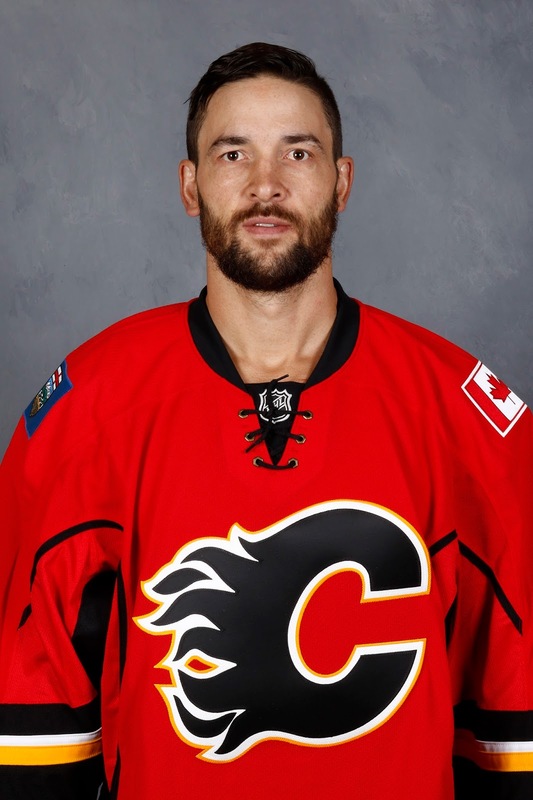 Case in point was Deryk Engelland's epic 3:22 'shift from hell' in the playoffs two years ago in the clinching game against the Vancouver Canucks, in which he just couldn't get off the ice in the second period. If you don't recall that memorable sequence, I wrote 405 words about it right here. Two years older and a little bit slower thanks to Father Time, Engelland was back in the spotlight on Thursday night. Calgary's eldest statesman at age 35 found himself faced with a similar decision -- only with two key differences. For one, at this point he hadn't been trapped on the ice. He was merely at the end of what would end up being a routine 49-second shift. Secondly, he did choose to go for that line change, rather than hang back while the others went. Man, did that ever prove costly. With just over six minutes remaining in the second period after Engelland had relieved pressure by dumping the puck down the ice and it going on goal, Engelland, his defence partner Matt Bartkowski and the entire line of Sam Bennett, Kris Versteeg and Alex Chiasson all chose to exit the ice for a line change at the same time. You could and probably should hold all five of them responsible for either choosing to change, or not hustling off the ice fast enough, but Engelland tops the list as he was the last guy back and had the furthest to go. He even hesitated for a second as if he had second thoughts, but then went anyway. Kevin Bieksa retrieved the puck, made an 80-foot pass to hit Ryan Getzlaf at the far blueline and the Ducks broke in on a 3-on-0 with the ever-dangerous Patrick Eaves and Rickard Rackell with him. No, not the very rare two-man breakaway. Suddenly, three guys were bearing down on Brian Elliott. I've watched a lot of hockey in my life and I don't recall the last time I've seen that. And we're talking about a playoff game in which Calgary had a one-goal lead. Ooomph. As Getzlaf swooped in, Elliott made the first stop, sharply kicking out his pad to repel Getzlaf's 15-foot snap shot, but the rebound landed on the stick of an uncovered Rakell. With time to spare still as the five Flames that had just jumped over the boards, desperately tried to get back into the play, the 23-year-old who led the Ducks with 33 goals in the regular season, would not squander the chance, burying his first of the post-season before Elliott could scramble across. Just like that, Calgary's first lead of the night -- thanks to a Bennett goal just over four minutes earlier -- had evaporated. You had a sense that goal was going to end up being costly and indeed, that turned out to be the case. Immediately after the punch to the gut that was the Ducks tying goal, things began to unravel for Calgary, who were obviously rattled. First up was a Hamilton tripping call just 25 seconds later. While the under siege Flames survived that penalty kill, they put the dangerous Anaheim power play back on the ice just three seconds later, the result of a Lance Bouma goaltender interference call. I've watched the replay multiple times of that sequence in which Bouma clips Gibson and while you could argue whether or not he got bumped slightly off-course by Rackell in front, the fact remains he was making a straight line for Gibson and any evasive action Bouma took to avoid contact was minimal. His failure to do that made it a very easy penalty call for the officials. Given the importance of the goaltending position, referees are going to be watching for this type of stuff all playoffs. In that scenario, Bouma has to be smarter and make a way bigger effort to avoid contacting the goaltender. Was it heat of the moment, the frustration of having just blown the lead, the case of a 4th line guy expected to play a physical role trying to do so in his limited minutes of ice time. Maybe it was all of that but it ended up costly as on that man advantage, Jakob Silfverberg scored to break the tie. Coming from behind to take the lead on the Ducks in Anaheim is hard enough to do once. Asked to do it again, it would prove to be too big of a mountain to climb. As bleak as things looked.in the third period as the parade of Flames penalties continued, they remained within one goal, killing off Versteeg's slashing penalty eight minutes in and Dougie Hamilton's cross-checking penalty (one of his three minors on the night) taken just past the 14 minute mark. For a dumb decision, Kesler was whistled for interference with 3:07 remaining for taking down Gaudreau away from the play. 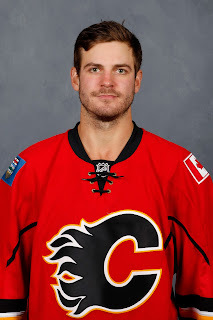 Forty-seven seconds into that power play, Logan Shaw's stick clipped Troy Brouwer, sending the Flames to 1:13 two-man advantage. Right there, before them, was a golden opportunity to tie the game and get it to overtime. Not only are the Flames on a five-on-three, but Anaheim's best penalty killer -- Kesler -- is one of the guys in the box. Also worth noting while we're at it, the Ducks are also without arguably their best penalty killing defenceman in Cam Fowler, sidelined with a knee injury. But that 5-on-3 ends up being a disaster. Dreadful execution marred by indecision keeps them from generating any type of dangerous chance down low, which is an absolute must when you've got two extra players on the ice. The lone shot on goal during that lengthy two-man advantage goes down officially as a Giordano 58-foot slapshot. The wagging finger of blame can probably point many directions -- perhaps at power play coach Dave Cameron as this team hasn't been very good on five-on-threes all season, or any of the other skaters on the ice that failed to get open, but for me I pin the blame on Giordano. The captain has got to be the quarterback in that moment. He needs to take charge. He needs to be the guy initiating a flip-flopping of sides with TJ Brodie to set up a better one-timer possibility. For Flames fans on the edge of their seats, it was an agonizing way to finish the game. 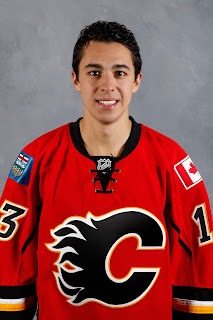 It was a tremendous night for Ferland, who along with Elliott were easily the Flames two best players. 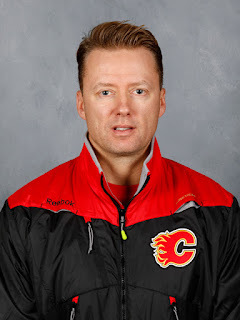 This makes it even more preposterous how little he was used by coach Glen Gulutzan down the stretch when Calgary was desperately seeking that tying goal. Over the last 9:07 of the third period, Ferland had one shift. It was just 27 seconds long, as it was the shift cut short as a result of Kesler's penalty on Gaudreau at 16:53 of the third. Rather than keep Ferland on the ice with his two linemates, a power play configuration that had been used frequently by Gulutzan over the final few weeks of the regular season, instead the coach stubbornly went back to the power play combination he had been using all game, the same combination he had tried much of the regular season but seemed to have abandon late in the season of Brouwer instead. In advance of a game, every NHL head coach put together a very detailed plan for what he will do in various game scenarios. This is all part of the hours of preparation they'll do before a game. But at some point, you need to have flexibility and be willing to ride the hot hand. 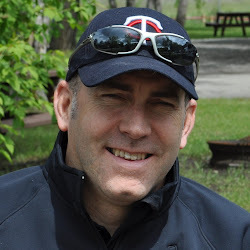 See what's happening that night and when you have guy that is 'feeling it' like Ferland was all night, you need to have the ability to 'feel that' yourself and utilize him more. Given the salary you paid him to come in and contribute this time of year, the 'A' on his sweater, his big-game experience and all that, I understand why the coach might insist on reverting to Brouwer on that top unit to begin the playoffs given the big stage, etc. I don't agree but I can understand the rationale. Drew a penalty but oh man, Troy Brouwer on this PP instead of Micheal Ferland with the night he is having... That's a major head scratcher. But when Ferland is having the calibre of night he is, you need to leverage that. You absolutely have to tap into that. 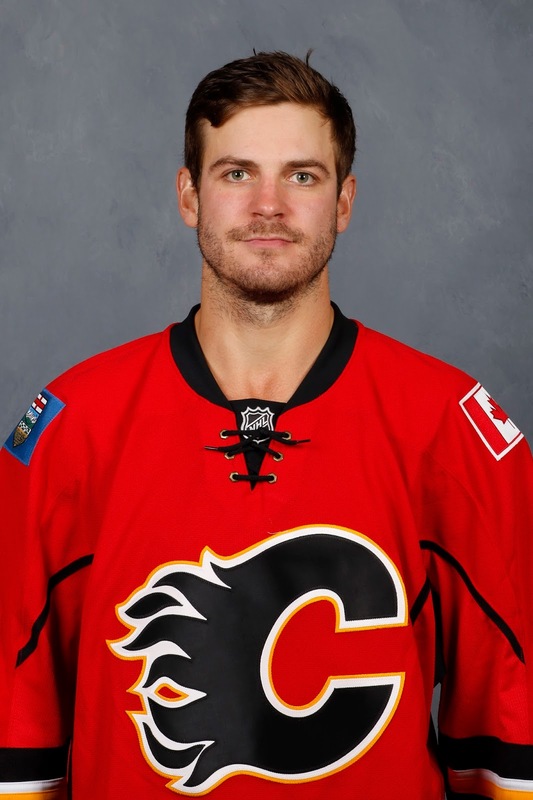 Between penalties and the pulled goalie, the Flames had an extra man for the final 3:07 of the game. Gulutzan needs to get him back on the ice and instead of Brouwer would have been easy to do. For context on Ferland's night, here's some historical data per Hockey Reference. Ferland did not see one second of power play ice time. Not a sniff. All of those chances were generated at even-strength. Per @hockey_ref, Ferland was 6th #Flames player since 1987 to have 7 shots in non-OT road playoff game. Joins Fleury (x3), MacInnis, Mullen. This isn't a hate on Brouwer. 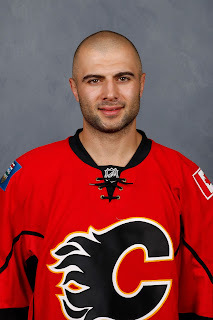 If you could look past his salary and just view him as a fourth line player, I thought that trio with Matt Stajan and Lance Bouma was actually pretty good early in the game. Brouwer was on the ice for the Flames first power play goal. But for me, it's more about what Ferland was doing, recognizing it, and running with it. Might all these lapses be attributed to the one mighty wild card the Ducks hold of "playoff experience"? Seems like the Flames who stood the tallest were those with the most rides on the post-season Ferris wheel. Huge edge to Anaheim in that regards and quite likely the tipping point. That's why this playoffs, just by qualifying, is going to be a great development step for the Flames and will make them that much better and more prepared for next season. Stupid article. Any team can say "well if we would of done this differently and a call go this way we would of won". Flames got beat plan and simple, no shoulda coulda woulda. There is a reason the ducks won the division and the flames had 10 more loses. Might want to check your math Ducks lost 36 games, Calgary lost 37 games. To me that only equals 1 loss difference. But yes Anaheim won the first game but they definitely looked beatable. check your stats those are ot or shootout losses my friend, big difference between losing after 60 min then losing after stupid 3v3 or shootout. I disagree. These articles are a good read for any Flames fan wanting a thoughtful critique of their team. And to have it right after the game is fantastic. The post did say that Calgary had 10 more losses than Anaheim which is false. Whether you lose in regulation or OT/SO you still lost the game. How about we put it this way Anaheim only had 1 more win than Calgary this year. To state Anaheim is a much better team than Calgary because they lost in OT more than Calgary did is laughable, to me it just means they are better at losing than Calgary. Excellent article. There was a lot of blame to go around. That line change was historically poor. Totally agree about Brouwer. I was at least happy to see him get a bit more physical once Kesler decided to nap on the puck. 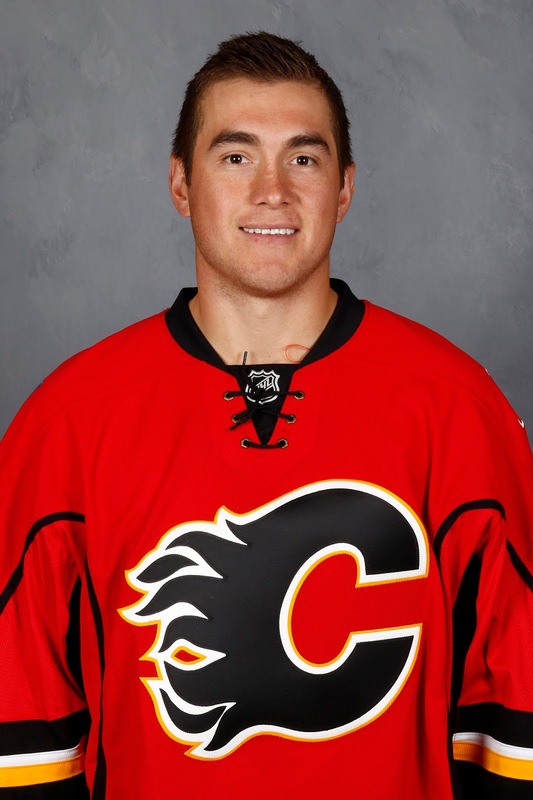 Again, Ferland has all the tools, I'd love to see him on the PP. As I think I mentioned, I thought Brouwer was fine early in the game and I still think he could play a role in this series. Maybe not to the degree you hoped for $4.5M but still a guy that is very serviceable. For me, it was less about what Brouwer may not be doing but all about what Ferland was doing. The puck was following him around and when that is happening, recognize it as a coach and run with it, especially when there's that natural fit of having him out with his regular linemates on the PP. Funny you would mention that "eternity" of a shift from Engelland. That's on coaching. Bring another d-man onto the ice, move Engelland up to the wing closest to the bench. How hard could that have been? Surely, other players got off the ice during that time. In hindsight, sure, but in the moment, you never expect it to go on for that long. You assume the chance to change will surely come quickly. Over that stretch there were four icings too, which prevented any of the Flames from changing. They never moved him up to forward but my memory, can't recall if they switched him to the left side at some point. But yes, forwards were changing, but often the D never got the puck far enough up ice to change. On that topic, Gulutzan mentioned earlier in the year a similar scenario where Matthew Tkachuk recognized a D was tired and trapped and he mid-play dropped back and told him to move up front. Shows you the smarts for the game that Tkachuk has.